Crochet necklace with various types, sizes and shapes of multi color glass beads. It measures about 16" and is closed with various styles of clasps. 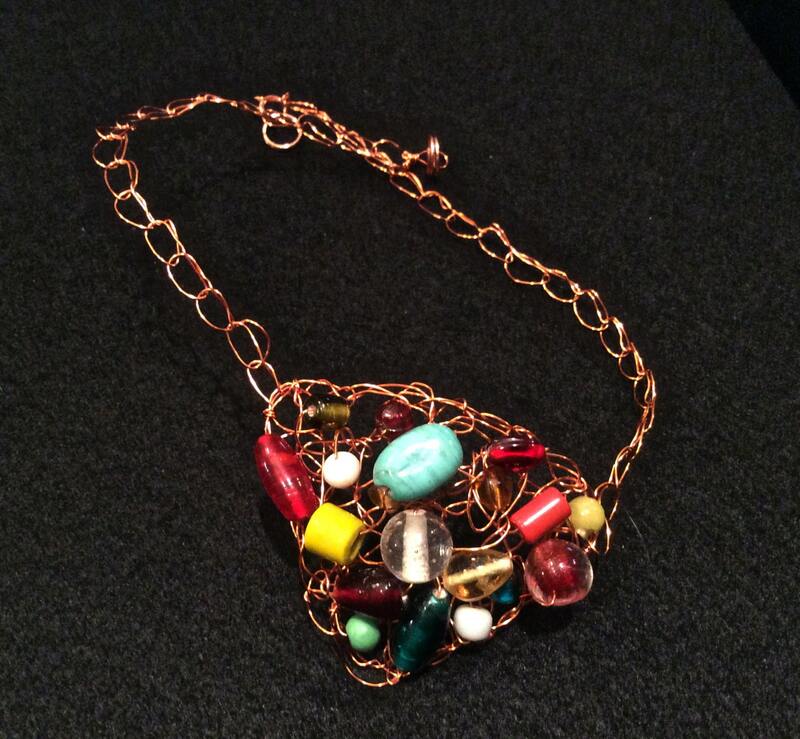 Materials: copper wire with matching chain and clasp and glass beads.